Now the NRA is fighting back. On May 11, 2018, the NRA filed suit against New York Governor Andrew Cuomo, and the N.Y. State Dept. of Financial Services (DFS), alleging violations of the NRA’s First Amendment rights. 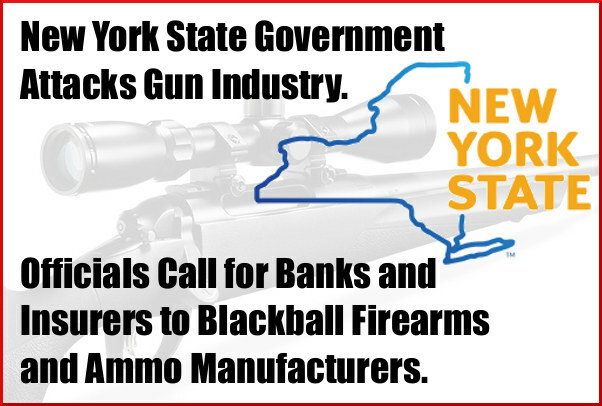 The Federal Court lawsuit claims that Cuomo, DFS Superintendent Maria T. Vullo, and DFS engaged in a “campaign of selective prosecution, backroom exhortations, and public threats” designed to coerce banks and insurance companies to withhold services from the NRA. The NRA argues that such tactics vastly overstep DFS’s regulatory mandate, and seek to suppress the speech of Second Amendment supporters and retaliate against the NRA and others for their political advocacy. The lawsuit seeks millions of dollars in damages to redress harms inflicted by the DFS campaign. Among other things, the lawsuit cites a pair of “guidance” letters issued on April 19, 2018, by the DFS to the CEOs of banks and insurance companies doing business in New York. Styled as regulatory “risk management” advisories, the letters encourage institutions to “take prompt actions” to manage “reputational risk” posed by dealings with “gun promotion organizations.” The same day, Cuomo issued a press release in which Vullo directly urged “all insurance companies and banks doing business in New York” to “discontinue their arrangements with the NRA”. 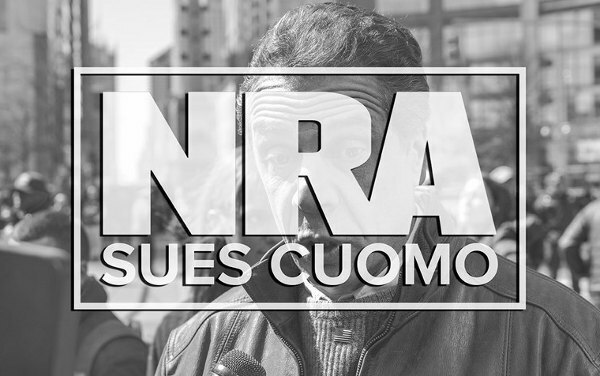 The lawsuit claims that the “guidance” letters were accompanied by back-channel communications and targeted enforcement actions, which further reinforced the Cuomo administration’s message that it is bad business in New York to do business with the NRA. The lawsuit explains that the DFS mandate — preceded by an “investigation” orchestrated by gun-control activists into insurance programs sponsored by the NRA — has already caused several insurance companies to sever relationships with the NRA and to plan to cancel the insurance policies of law-abiding New York consumers. According to the complaint, the directive of Cuomo and Vullo has had its intended effect — to advance Cuomo’s longstanding opposition to gun-rights supporters and to distort insurance markets in the service of a political agenda. On May 2, 2018 and May 7, 2018, Lockton Companies, LLC and Chubb Ltd., respectively, announced they will pay millions of dollars in fines to DFS and cease doing business with the NRA — for no other reason than many of the insurance programs with which they are associated carry the NRA brand. On May 9, 2018, Lloyd’s of London announced that it is directing insurance underwriters to terminate any existing partnerships [with the NRA]. Share the post "NRA Sues N.Y. Governor Cuomo and Dept. of Financial Services"